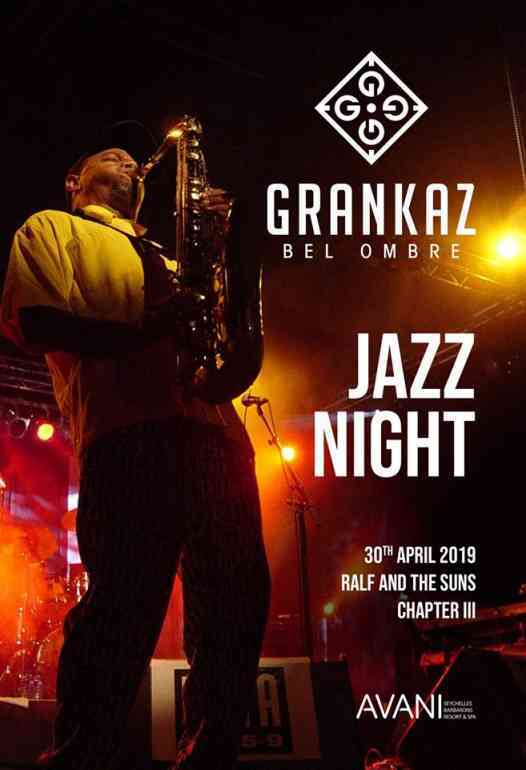 Gran kaz in partnership with avani seychelles barbarons resort&spa presents the second edition of it's annual jazz night at gran kaz bel ombre! Join us for a night of smooth jazz with ralph & the suns and chapter iii from 7pm on-wards. enjoy our specials on gin cocktails, or for the gin connoisseurs, browse the amazing selection of gins available at our gin corner! And if you get peckish, tantalize you palettes with mouth watering selections from our brand new food menu. limited seating available, first come, first serve. Gran kaz in partnership with avani seychelles barbarons resort&spa presents the second edition of it\\\'s annual jazz night at gran kaz bel ombre! Join us for a night of smooth jazz with ralph & the suns and chapter iii from 7pm on-wards. Super Raffles Tuesday 30th April / Scr 40,000 total prize! for every scr 500 you play, you will obtain 1 raffles ticket from mon 1rst april to tuesday 30th april. draw will take place at 11. 30pm. promotions will be available on live roulettes, poker and black jack tables.